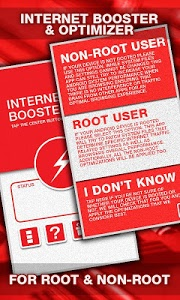 This app is intended to enhance your internet browsing experience. Your internet speed is determined by your Internet Service Provider and we cannot change that, but there are many other factors that may affect how your device takes advantage of this speed. This is where this app starts boosting. 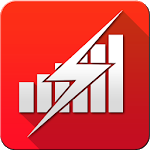 We automatize a series of commands and optimizations that will put your browser in the top of priority on your Android System making sure you get the most out of your ISP Internet speed and device resources for a smooth browsing experience. This is no magic, these commands are actions you can perform manually one by one without the help of any app, but due to the time it'd take and other reasons it could be considered impractical, and this is the reason this app exists! 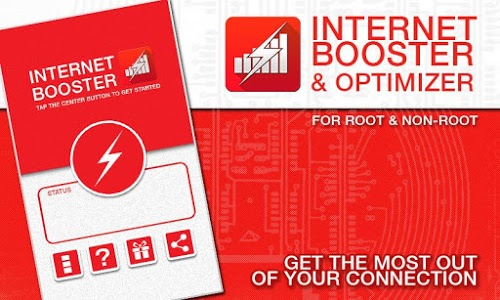 Whether your device is rooted or not, or if you have a WiFi or Mobile Data connection (2g, 3g, 4g LTE), we perform a series of automatized tasks in order to accelerate internet speed and browser's performance. Pausing secondary processes, cleaning RAM memory, cleaning cache memory and flushing DNS are some of these tasks. We run commands intended to optimize the way your device connects with others through the internet. In most cases this improves ping and boosts overall speed resulting in a snappier internet browsing. MTU size, TTLL hops, buffer size and more, are some of the settings optimized. These are available only for root users. * If you are connected to a router, it might limit your MTU independently of your device settings. * We cannot guarantee all the desired results for all android devices. Android versions, frameworks and their settings are too many, but we encourage you to contact us if you find a bug or problem or send a report in case of crashes and forced stops. 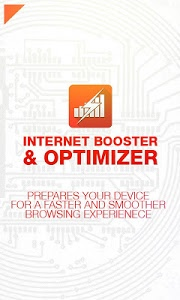 Similar to "Internet Booster & Optimizer"